Though Darren Aronofsky has ventured into his fair share of grim and disturbing material over the years, he’s yet to deliver a true horror film. Thankfully, that looks set to change with his upcoming effort, the mysterious mother! Starring Jennifer Lawrence, Javier Bardem, Michelle Pfeiffer, Ed Harris, Domhnall Gleeson and Kristen Wiig – quite the cast, eh? – we don’t know too much about the project just yet. However, from what we’ve heard, it’s set to be another dark and intense outing for the always interesting director. 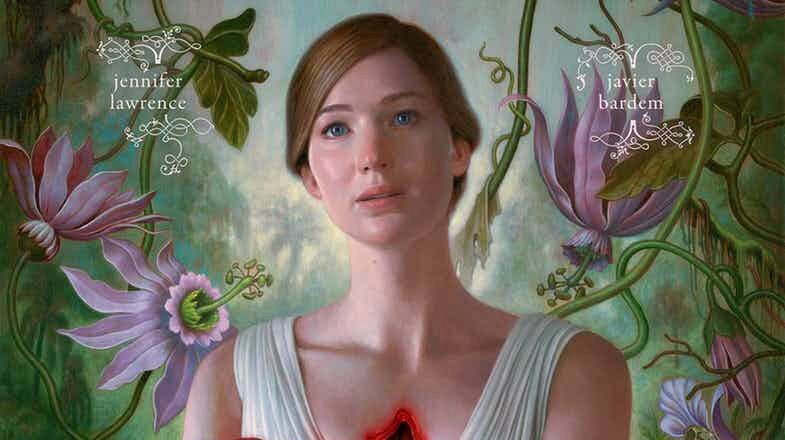 Quite appropriately, Paramount has chosen today (Mother’s Day) to kick off the film’s marketing campaign with a gory first poster, which you can see below. 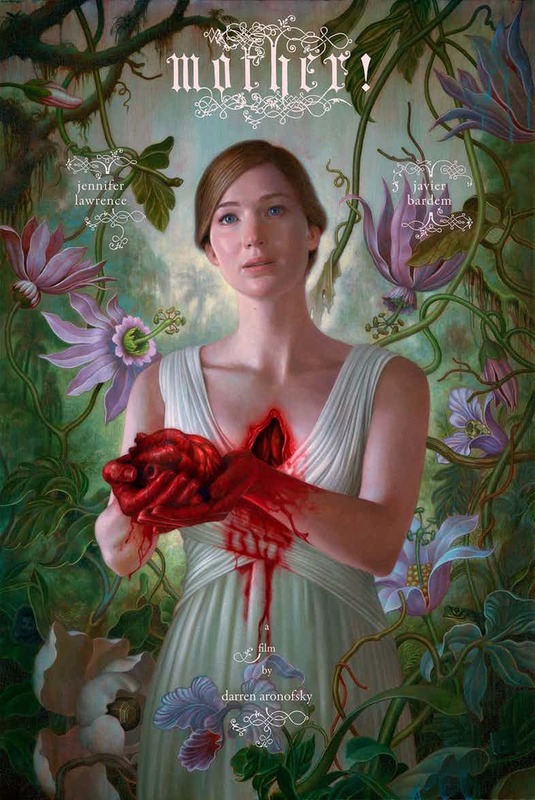 It doesn’t tell us anything about the plot, but given that it features Lawrence holding her bloody heart in her hands, we take it that this one won’t be for those who are squeamish. Then again, none of Aronofsky’s movies are cheerful, lighthearted affairs, so to see that mother! will follow a similar path as his previous efforts isn’t too surprising. That is to say, you can probably expect this to be a heavy and unsettling ride. Early buzz is that the flick will be a bit like Black Swan, as it explores some of the same themes. That’s certainly an intriguing comparison and if nothing else, it looks like Mother! will be a fairly ambitious project, though with so little known about it at this stage, it’s hard to say for sure which direction Aronofsky will head in. Still, his work is always fascinating to watch and to see him dive further into the horror genre is very exciting, as he’s proven in the past that he can craft truly compelling viewing experiences when dealing with dark material. Until we get some footage, feast your eyes on the first poster below – or look away if you’re faint of heart – and let us know what you hope to see from mother! when it opens this October.